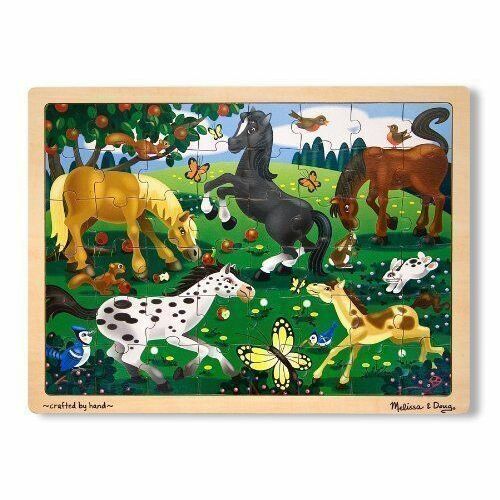 The frolicking horses in this meadow enjoy a windfall of apples while the early bird catches the worm. 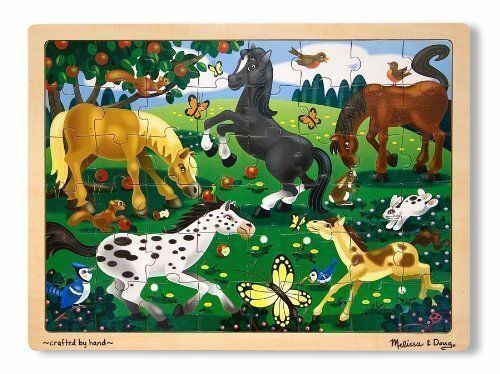 Assembling this charming puzzle would be enough fun, but count the horses, apples, butterflies and add another activity to the puzzle! 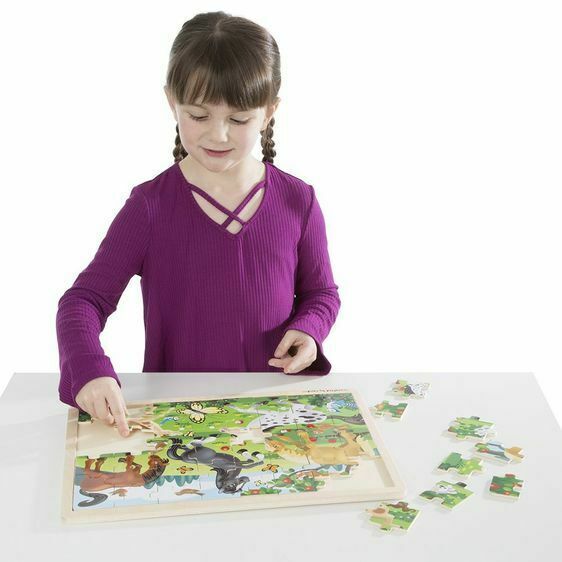 This wooden, 48-piece jigsaw puzzle comes packaged in a sturdy, wooden tray for puzzle building and easy storage. 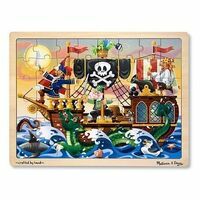 Product size: 40 x 30cm.